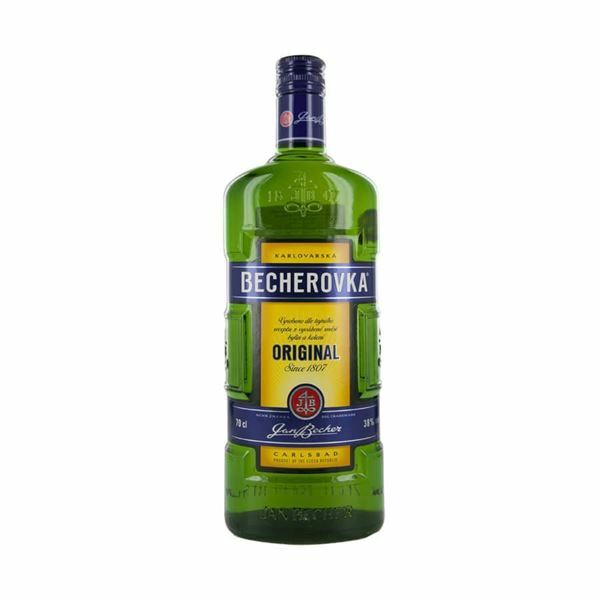 One of the Czech Republic’s many alcoholic herbal tonics, Becherovka herbal is rich with vibrant herbs and spices, creating a surprisingly fresh flavour which is wonderful before or after dinner. A natural herbal liqueur with only a little colour is not like classic medicinal tonic and is in fact known for its gingery cinnamon inspired taste. Both ginger and cinnamon are included on the ingredients list as well as anise, cloves and other traditional herbs. Serve with tonic water to enjoy a traditional beton.